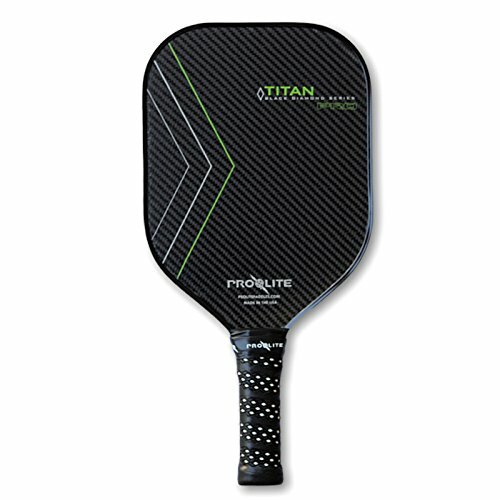 The Pro-Lite Titan Pro Black Diamond pickleball paddle offers players a much larger surface and a razor-thin edge guard for optimal ball control. The black carbon fiber surface helps provide a nice pop on the ball while the medium weight makes for a maneuverable paddle. Features the exclusive ProLite MicroEdgeTM guard.